Warsaw Home Improvement LLC wants to provide you with quality work at affordable prices. We truly understand people who want to find comfort in their own homes, and be proud of the way they live. With the experience in all phases of the construction we are able to advise and guide you safely through your project keeping it on time and in budget. Whether you are looking for Construction Management or performing all phases of your project we are at your service. Justino Contracting Inc. is a full-service general contracting firm located in Mamaroneck, NY that has been successfully completing projects in the Westchester & Fairfield, CT area for over 16 years. Mayne Construction, LLC is a licensed and insured, full service general contractor with 30 years of experience with the capacity to undertake all phases of building projects. Abbott Builders' long list of projects and repeat customers demonstrates our success at maintaining long-term relationships, exceeding expectations, and completing an array of challenging jobs. We strive towards perfection through the satisfaction of our clients. We pride ourselves on being a hands-on company with attention to detail. Call us today to get started on your next project! We aim to provide every client with superior service, quality craftsmanship, design expertise and overall excellence no matter what the budge or time constraints may be. We are great listeners, perfect performers, and skilled problem solvers; and these features are the main for our clients. Hoffman Contracting has been devoted to high-quality craftsmanship in renovation and new construction for nearly 20 years. Our first priority is to deliver a finished product that exceeds your expectations and reaches your goals on time and on budget. We work with the most experienced and skilled craftsmen in our area and our hands-on philosophy assures our customers of the ultimate in service and satisfaction. We believe that the keys to our success, is our focus on each clients unique needs. Darien's Expert Home Builder & Renovations Firm | 2x Best of Houzz! We examine all aspects of a project, including bidding, budgeting, quality control, and scheduling to ensure that your scope of work is clearly defined and seamlessly completed. We are a multi-disciplined Architectural Design/Build firm specializing in both residential and commercial projects. Our specialty is creating unique wine storage environments. With over 30 years experience, Executive Craftsman is dedicated to maintaining and upgrading the exterior and interior of your home. We are passionate about turning our clients’ dreams into reality. For over 20 years, Greenwich Construction has been effectively serving an exacting CT and NY clientele that has high standards and expectations. Family owned custom home builder working in lower Fairfield County. Specializing in custom homes and large scale remodeling projects. Fairfield County's Leading General Contractor | Best of Houzz! C&C Quality Home Improvement LLC is not just a home remodeling company, we are a "one-stop-shop," with all the in-house expertise required to complete the job from start to finish. LTB Home Improvement Contracting is a full-service residential contractor that specializes in top-quality work and personalized service for your remodeling and new construction needs. With over 35 years of experience, Rob has served Fairfield County and surrounding areas building positive relationships with not only his clients, but with industry professionals as well. Warsaw Home Improvement LLC wants to provide you with quality work at affordable prices. We truly understand people who want to find comfort in their own homes, and be proud of the way they live. Sunset Custom Basements in Fairfield, CT covers everything you need in a basement remodeling or finishing project from start to finish with superior products and quality workmanship. If you're on the brink of a large home improvement project, remodel, or new build, you'll likely want to hire a general contractor in Cos Cob, CT. These professionals manage all aspects of the job to ensure it's completed on schedule and to your satisfaction. Whether you’re trying to find Cos Cob building contractors for a new construction, or home improvement contractors to spruce up your existing place, it’s important know exactly what role they will play in the project. Read more below for a list of must-ask questions. General, or construction contractors, are often known as project managers. They oversee the entire remodeling or new home construction project and facilitate all day-to-day tasks that move it toward completion. A Cos Cob general building contractor will work with your architect to review plan as you build a house and ensure everything is in place before work is started as well as arrange for permits and necessary inspections. While good local home improvement contractors in Cos Cob will have the skills to handle certain tasks onsite, such as carpentry, he or she is also responsible for hiring subcontractors for the majority of jobs, such as electrical work, painting or plumbing. In addition, the general contractor should be on-site regularly to inspect the progress and resolve issues. Here are some related professionals and vendors to complement the work of general contractors: Architects & Building Designers, Interior Designers & Decorators, Landscape Architects & Landscape Designers, Kitchen & Bath Designers, Specialty Contractors. Home remodeling contractors are a must for successful completion of a renovation. Because of this, it's essential that you do your homework before deciding on the right general contractor in Cos Cob as you remodel or build a house. Inspect bids carefully. Was it ready when the contractor promised it? Was the bid for building a home unusually high or low? Each of these things can be very telling: A late bid may reflect timing standards, and an off-the-mark bid could be code for a pricey premium or a deliberate underbid to score the remodeling job. You should call references, carefully read reviews and visit completed projects in Cos Cob, CT to see if they’re what you expect for your job. Once you do secure your local Cos Cob contractors, read the contract very carefully to be sure everyone is on the same page. 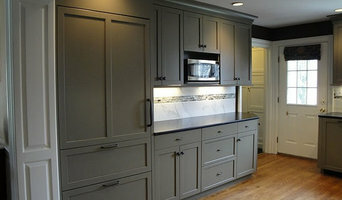 Find a Cos Cob contractor on Houzz. 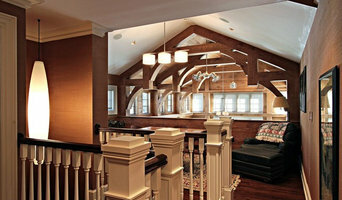 Narrow your search in the Professionals section of the website to Cos Cob, CT home contractors. You can also search for photos in Cos Cob, CT and contact the Cos Cob general contractor who worked on the project.